Happy Monday! I debated posting this on Saturday, and then figured that if you’re anything like me, you are scrambling to get errands done on the weekend and don’t have time for the Internet. Today I’m posting about the lost characters of Hope Is a Ferris Wheel – the characters that got CUT. You can also see where Gloria’s, Mrs. O’Grady’s, and the tinfoil man’s trailers are! Plus, the owner’s shack. 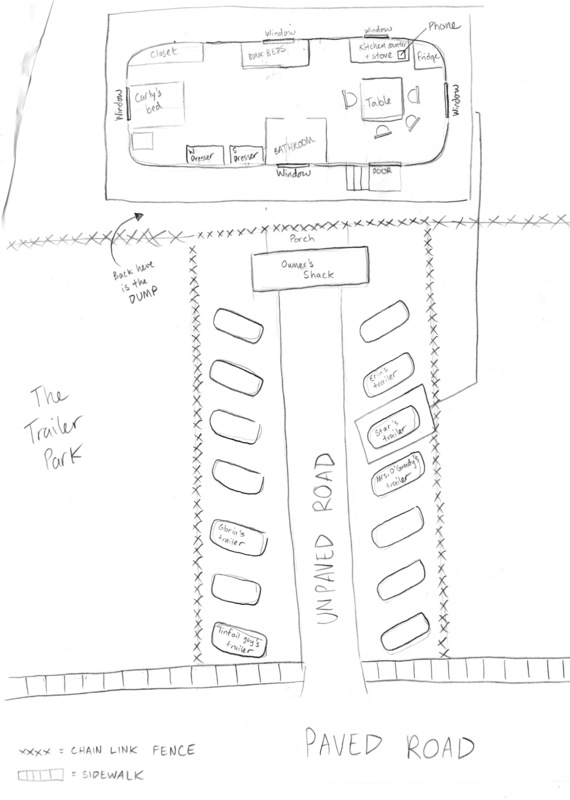 This map isn’t up-to-date as there’s now a storage area behind the owner’s shack where Star’s mom keeps some important things in a storage shed. Anyway, back to Erin. Erin also hung out at the dump a lot, as she was planning to build a robot out of junk for the science fair, and she also took care of Treasure Trailers’ resident stray mama cat, Queen Elizabeth, and her kittens, whom Erin had named after planets. The idea was that Erin was a really nice person, but not a good friend to Star. So, Erin doesn’t live in the trailer park anymore. She’s still in Mr. Keyes’ class, and her family lives in a tiny run-down house not too far from Pepperwood. But she and Star don’t interact at all. At least until… SIXTH GRADE! I almost snuck Nicky into the final draft of Hope Is a Ferris Wheel, but my editor saw right through my attempts and said, “Why is this random character here at the end?” So I cut her, YET AGAIN. 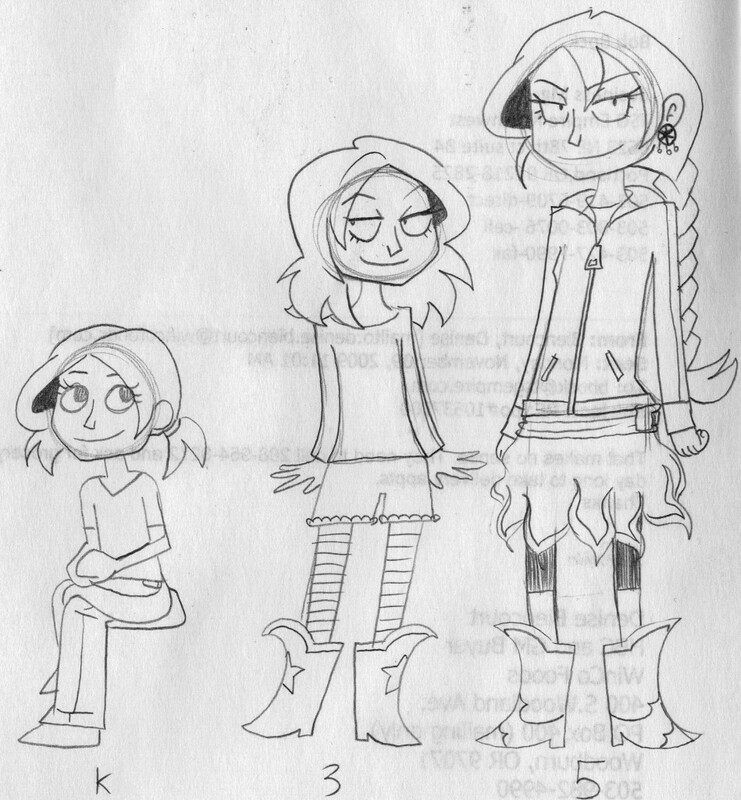 In the first draft, when Star first goes to detention, she meets a group of kids she dubs the Detention Junkies. Eddie was one of them, and Nicky was another. Nicky’s story was that she never really tried in school, and thus got detention a lot. Miss Fergusson, through sheer force of will (and kindness), was able to turn Nicky around. Towards the end, she stopped going to detention, which made Star wonder why she was still in detention. Nicky got cut at the same time as Erin, because it was more important to me to have Eddie in the story, and she and Eddie were kind of crowding each other. 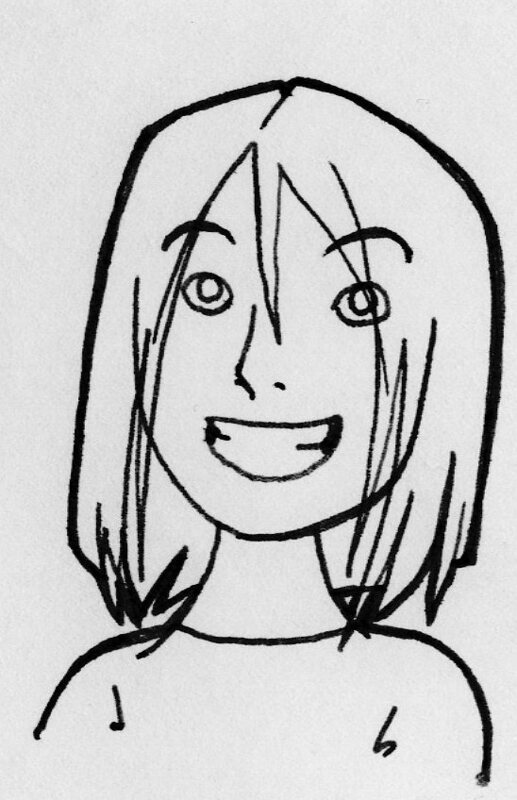 In between draft 1 and my last draft, I changed Nicky’s character considerably. Here’s an age chart on new Nicky, showing her in Kindergarten, 3rd grade, and 5th grade. I gave her a sense of style, made her wealthier, and streamlined her design. New Nicky was set to join Star’s club at the end of the book, because of spoiler-y reasons, so I won’t go there now. But you can ask me in person after you’ve read the book! Also, if I ever write a sequel to Hope Is a Ferris Wheel, Nicky will definitely be in it. 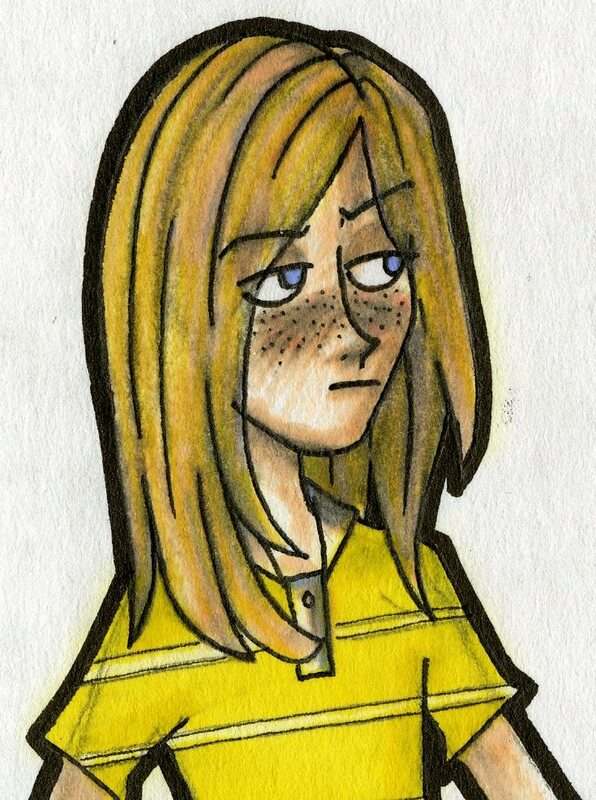 In the Sixth Grade Delinquents story, Nicky was the “wildcard” of the class. No one knew if she was good or bad, and even Eddie kind of stayed away from her. Nicky wears fancy and colorful cowboy boots. This wasn’t originally the case, but Nicky has a huge crush on Eddie. She’s always trying to impress him. In sixth grade, she no longer has her braid. 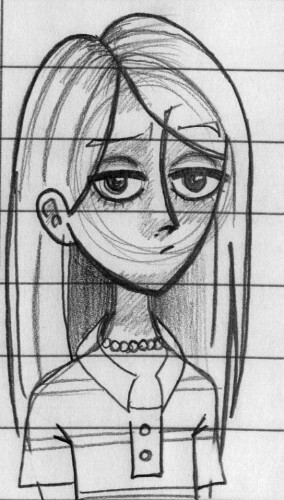 She’s very mildly based off this tough-as-nails fifth-grader I taught at one of my school jobs. A girl who could pound anyone into the pavement, but was also conscientious of her clothing and style. Okay, Amanda was hardly even important to the plot, but she’s pretty cool, and I wanted to post a bit about her. When I describe Amanda to you, she might sound a lot like Nicky, but the fundamental difference between Amanda and Nicky is that Amanda does what she does out of malice, while Nicky does it out of indifference. So, no, Amanda didn’t add anything to the story, and so she was cut. BUT. Remember, if you have to cut characters, you can always tell yourself you’re saving them for the sequel!